Wow! I thought I'd be back right away after the New Year, but my kids are struggling to recover from Christmas, Sugar and Dad returning to work after a whopping two whole weeks off! It was wonderful - but it's hard to get used to him gone. I have SO many projects to share with you I'm honestly overwhelmed with where to begin. I have so much to sift through so we're going to start with some pictures I have downloaded already. I've made several items now with Heat Transfer Vinyl using my Silhouette. I love it and look forward to playing around with it more. But I have to confess, I've had my fare share of battles with the stuff. This time around though, it was the biggest test of my patience when it came to my Christmas Projects. I had Business Tees to make, and a Hoodie for my Brother-In-Law. I got the designs ready to cut and ordered the vinyl. That was my first mistake. I ordered from a company that is highly recommended by bloggers all over. It ended up being the cheapest, thinnest, most difficult Heat Transfer Vinyl I worked with. More on that later though. The second mistake was to order a grey that I thought might be too light for the business logo. And it was, I just couldn't use it and feel good about it. Of course, I finally got it all cut out, got it all right and I had to make one more mistake. As I ironed on the silver star I got distracted (at least that's what I'll say at this point) and ironed it upside down. Yes, that's right, straight on to my iron! Luckily, it wasn't too much of a mess. You would think I learned the lesson about cutting in reverse with the Hoodie. BUT NO. I cut the blue and orange AND some of the grey vinyl before I realized that the entire logo would have to be ironed on backwards. It gets worse. I was almost done weeding it all! For 7 Tees! ACK! I nearly quit right then and there. So I started over, counting my lucky stars to have enough vinyl after such a dumb mistake. As I weeded the different vinyl colors I discovered some difference. The grey vinyl was on a sheet with much stronger adhesive, so the tiny letters rarely shifted or had problems. Round one to the new company I found. When it came to ironing on the logo I was dismayed over the difference in quality between the orange and blue (from the first place I ordered) and grey that I found. They were so different. The blue and orange were thinner, slightly more glossy, and all over an inferior product. It was hard to iron on. One accidental touch with the iron actually pulled a few letters right off the shirt I had just ironed them on to. It also bubbled and puckered from the iron if it actually got touched. The grey, on the other hand, was thick, adhered quickly, and the extra adhesive on the backing wasn't a problem. Then when I accidentally touched it with my iron nothing happened. Yes, that's right, nothing. No peel back, no puckering or bubbling, or anything. It was amazing. If the vinyl you are cutting will have words, order extra (especially if it's something for Christmas). 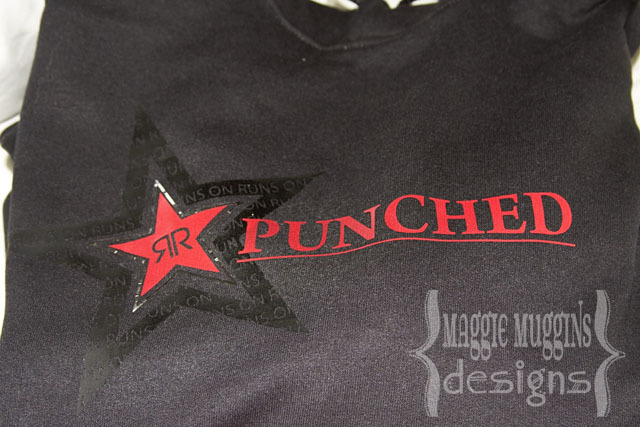 Test the Heat Transfer Vinyl before actually using it. Just use a scrap of the fabric your using, or some old painting tee to see how well it works. If you have a deadline, order the vinyl weeks in advance, not days. Find a favorite and stick with it. ThermoFlex-Plus is by far my favorite Heat Transfer Vinyl. (37 Colors!) I ordered it here. Thank you so much for the tips and the link to Thermo-Plus! I was just about to use my Silhouette to make shirts for the first time and I'm glad to know this stuff! Gotta ask if you tried the Silhouette vinyl. Mostly because it took me a full 30 days to get my original order fixed (they forget to send my bonus roll of vinyl and it was a nightmare getting it) and am hesitant about using my 10% off coupon. Is it even worth it? Thanks for sharing! Now I have to know! Where was the first place you bought your vinyl?? 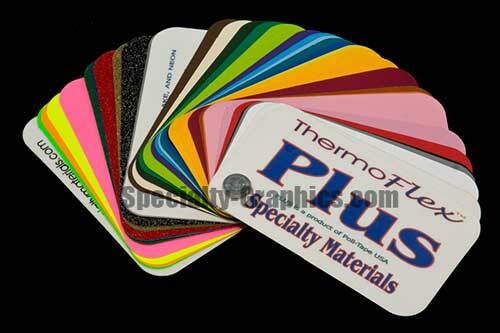 Is the ThermoFlex brand superior to the Silhouette brand heat transfer material? I've had problems with the Silhouette brand not completely adhering and peeling back after washing. 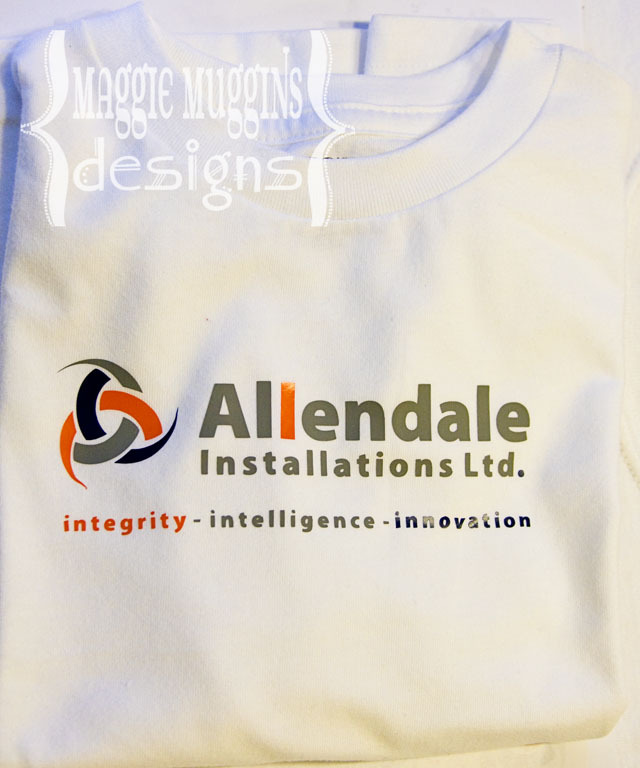 I have used their flocked Heat Transfer and it works really well. As for their smooth, there’s no one local that carries it. I was going to order it, but I have never needed more than a foot of any specific color so I didn’t want to buy their 3 feet rolls to try and have a whole bunch of extra sitting around. I do want to try it, I’m just waiting for a project where I need that much vinyl. Judging from the pictures on their blog though, I’m confident it’s of similar quality to my favorite. (The cheaper quality one is much more transparent.) I hope that helps. Both the tees that I made using Silhouette's Flocked Heat Transfer Vinyl have never peeled back and still look good 6 months later. if there's no other safe surface in the home. Also, I use a Silicone baking sheet underneath the surface. It apparently helps distribute the heat better. I have found that it helps. When you did the work shirts how did you do the different colors and still get it to line up straight on the shirt. Did you just cut it all out then place together on the shirt? And once again what did you use to line it all up? Thanks!! I did cut each color separately, and then ironed on the grey first and lined the other colors up with that. To center and line up the entire thing I use my cutting ruler because it's see-through. I line it up to the armpits on both sides with the shirt completely flat and pressed out. For this I went 2-3 inches above the armpit line for the bottom of the logo. It really depends on the size. Sometimes I judge the bottom using other shirts or getting my husband to put it on. After that, I figure out the center of the shirt and image and line those up, and line the image up across the ruler as best I can. Lastly, I pull back the ruler and iron. For Kids tees, when I'm too lazy to go find my ruler, I fold up the him and use it as my ruler. It is less accurate, but honestly, I've never been disappointed. Thank you so much for your tips on heat transfer! I've ordered some of the thermoflex and am very excited to try it out. I also plan to try your suggestion of the silicon mat underneath to distribute heat better as I've had some peeling issues with my flocked heat transfer as well. So much great information on the Silhouette here...I think I'm ready to make the cut and finish the shirt I've been working on. thanks for the info! Here is another great source for vinyl and other resources. specialtygraphics.com- they specialize in materials for cutters like the silhouette, and you can buy by the foot, or by the yard- and they have rolls custom cut to 9 inches which I love. They also have a special blade holder that they had created that goes with the silhouette, that can be adjusted to more depths than the little caps for the silhoette can, and that takes blades that are less expensive than silhouette blades. They are really helpful over the phone too. I just bought my silhouette through them and am playing with it for the first time. It is so much fun!I'll be coming here for lots of inspiration I'm sure! Just found your blog as I have been a frequent user of Silhouette t-shirt vinyl but just ordered some ThermoFlex Plus from specialty graphics b/c the color selection is bigger. I saw in the instructions that they say to use a heat press since that is hotter than an iron for ideal adherence which of course I don't own. You use a regular iron and it adheres well right? What settings do you use and how long? Can I ask what settings you used on your silhouette. I ordered some Thermoflex and tried to cut it on my silhouette on the heat transfer vinyl setting and it did not cut. I had a new blade. Any thoughts? What Silhouette cut settings did you use? I bought some Thermoflex and tried cutting several times with no luck. I have a new blade. Any advice? I believe I cut slow and not too thick. Speed 3, Thickness around 7-10. 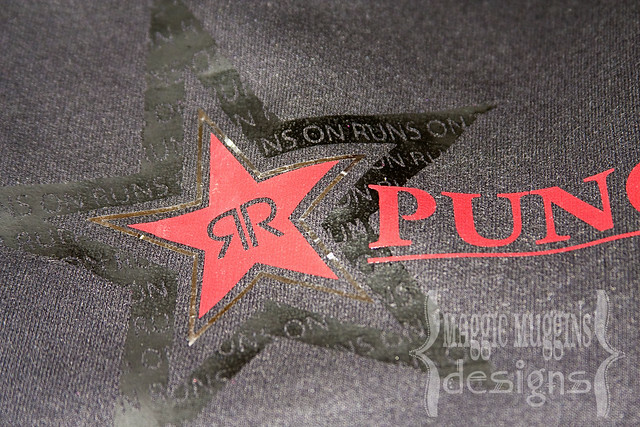 Every heat transfer vinyl is slightly different so you may want to try a test cut. Also, some vinyls are more difficult to weed just because of their color not showing the cut lines well. Another important thing to note is that some are more difficult to pull away from the transfer sheet. Some are so much better at pulling off if they are cooled, others it doesn't matter. Testing cutting, weeding, ironing and pulling away is the best thing to do.